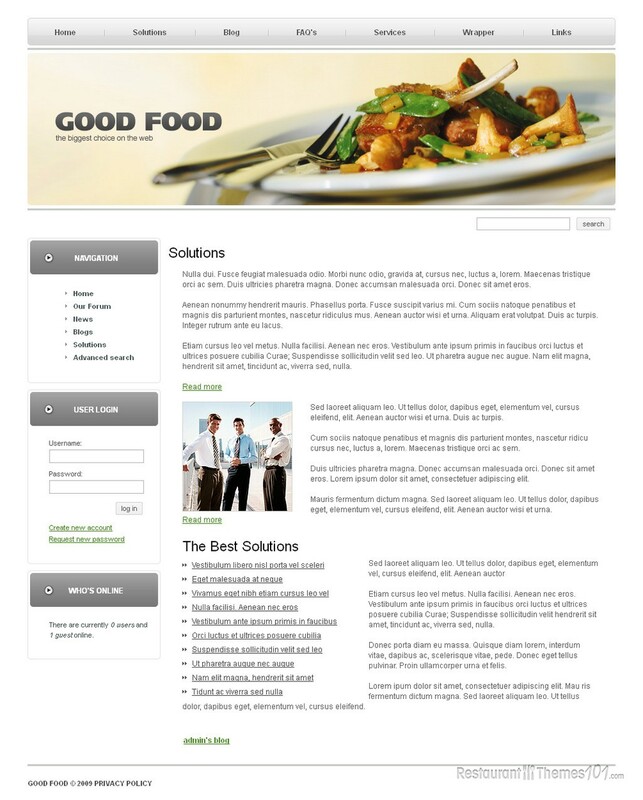 If you are looking for a bright, compact looking Drupal restaurant theme, Good Food might be the right choice for you. It was created by Di and it is presented at Template Monster. The layout of this theme looks fresh, clean and beautiful. 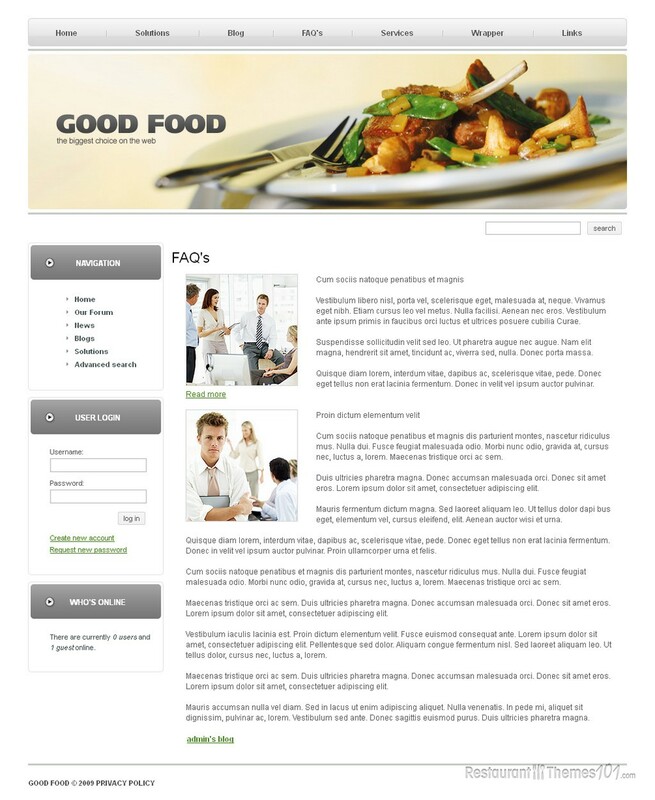 With a pleasant white background and nice pastel details, it promises a quality restaurant with healthy delicious food. The header is reserved for quality photos of your servings. You can place them there and let them grab your reader’s eye immediately. Featuring any post on the homepage is very easy. You can feature your whole menu categories here and have them linked to full content pages so your visitors can be redirected to them by a simple click. The blog area lets you create as many posts as you want and feature them on your homepage with resized photos and introduction text. 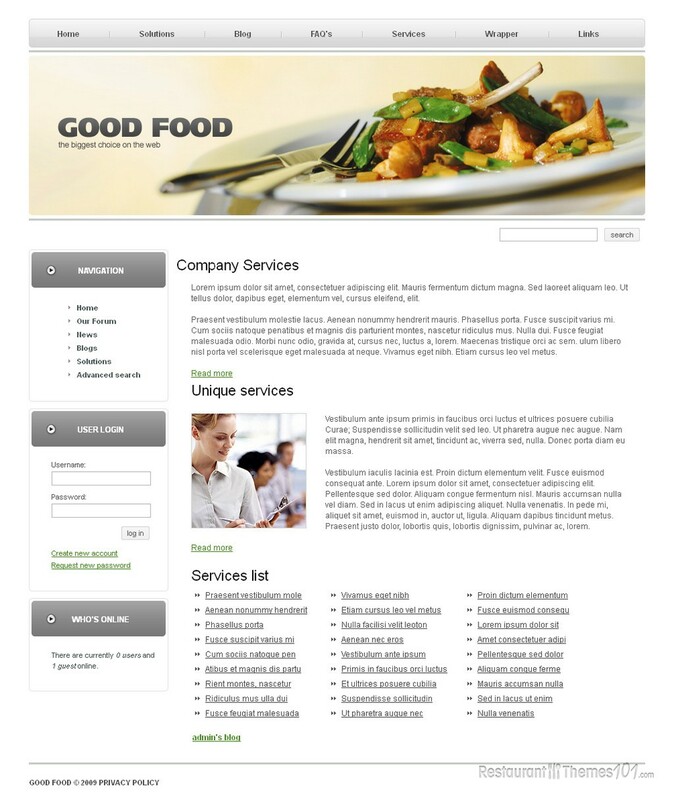 You can tell them all about your special offers or any news that are going on in your restaurant. A functional search form is also added to make it easy for your visitors to get to the content they need to find by simply entering the terms they are searching for. 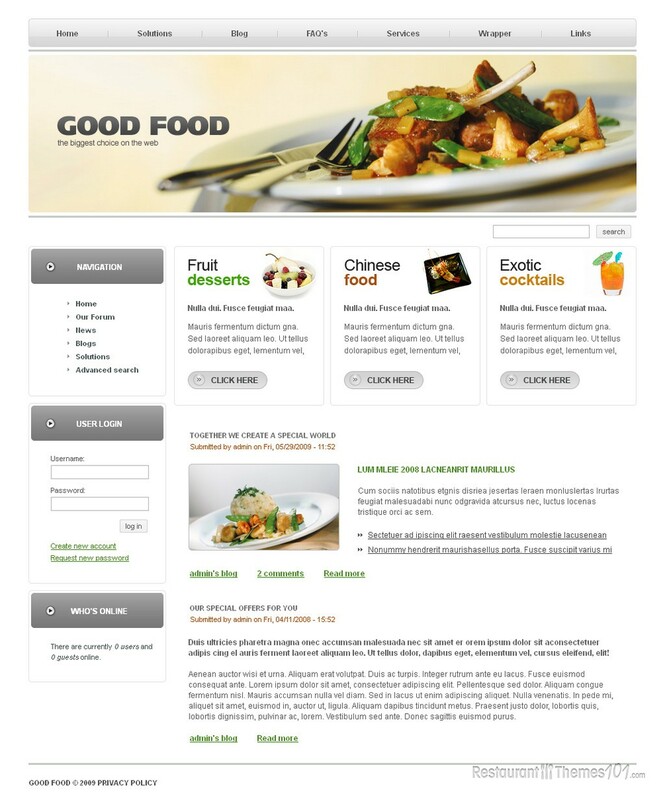 Good Food is a restaurant theme for Drupal that enables you to create a forum for your users. They can register and create their own account, and get super interactive with other visitors or site admins. This will leave a nice impression on your guests because everyone likes it when their voice can be heard and appreciated. You and your visitors will be able to see who is currently online through a nice box placed on the homepage. This theme features a powerful admin panel with clear and easy admin options, and it comes with installation and setup instructions attached. You will be able to setup and run this theme even if you aren’t a skilled web designer, and you will be happy with the result because you will end up with a professional and attractive website.